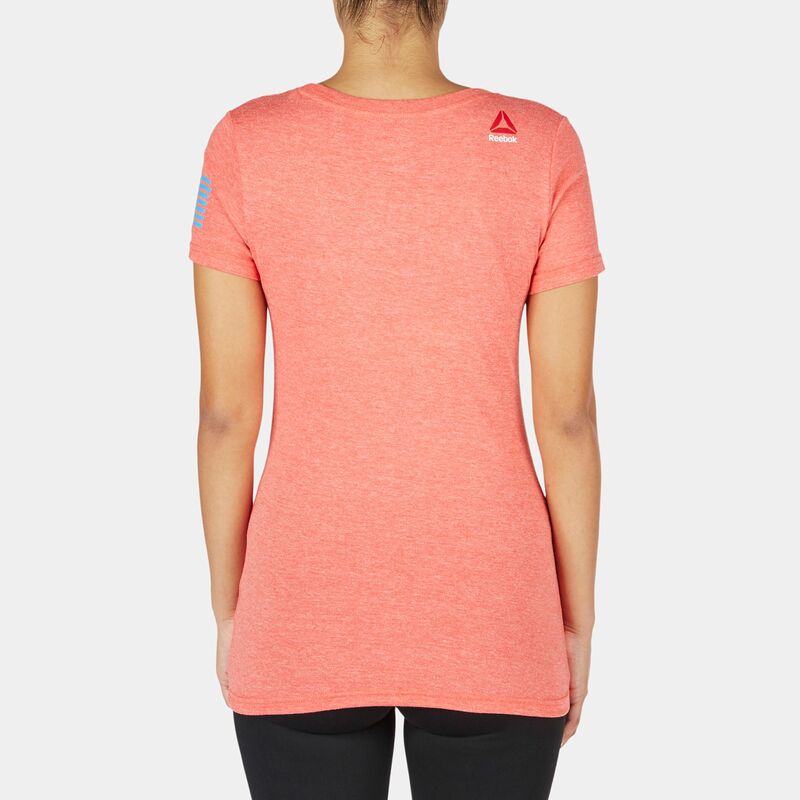 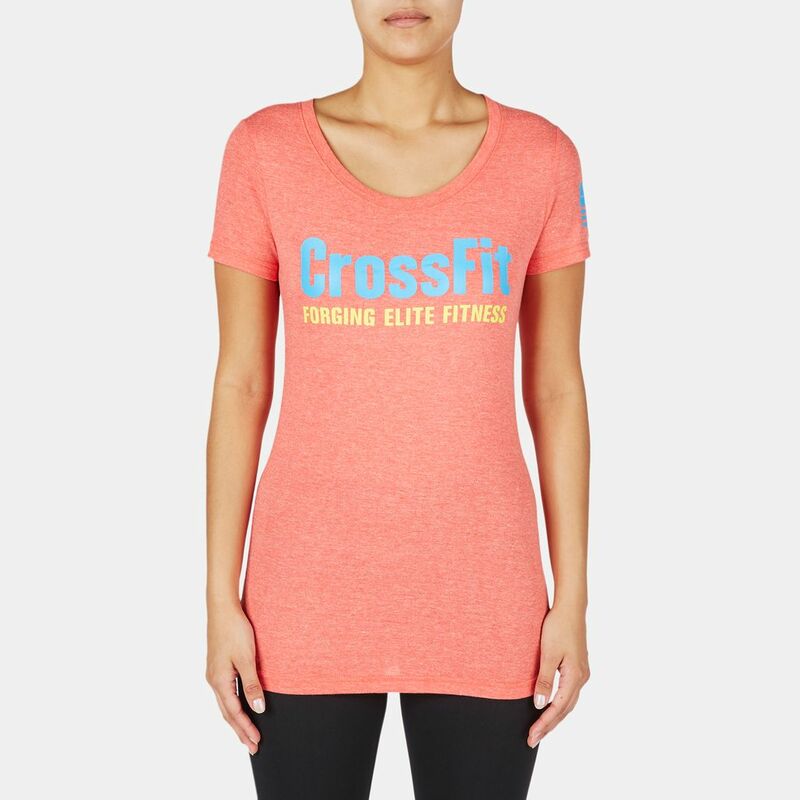 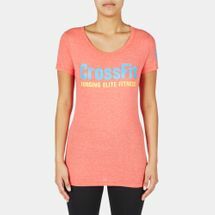 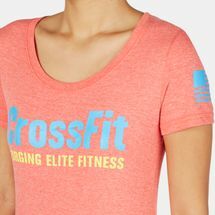 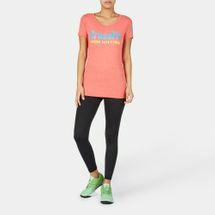 Made from a tri-blend fabric for comfort and durability, the Reebok CrossFit Graphic Forging Elite Fitness Crew T-Shirt for women has a no-nonsense style. 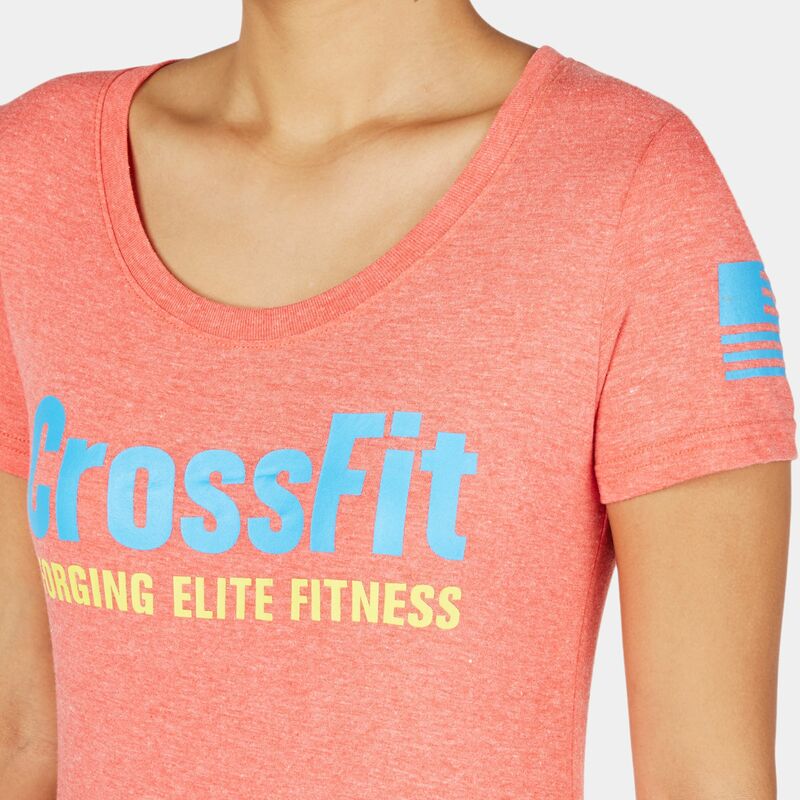 The slim fit hugs the body, while the classical ribbed crew-neckline gives a structured appearance. 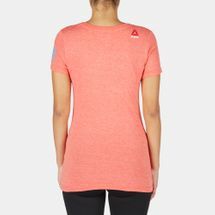 Made with PlayDry technology that wicks sweat away from the skin to keep you dry, it is ideal for high performance exercise.